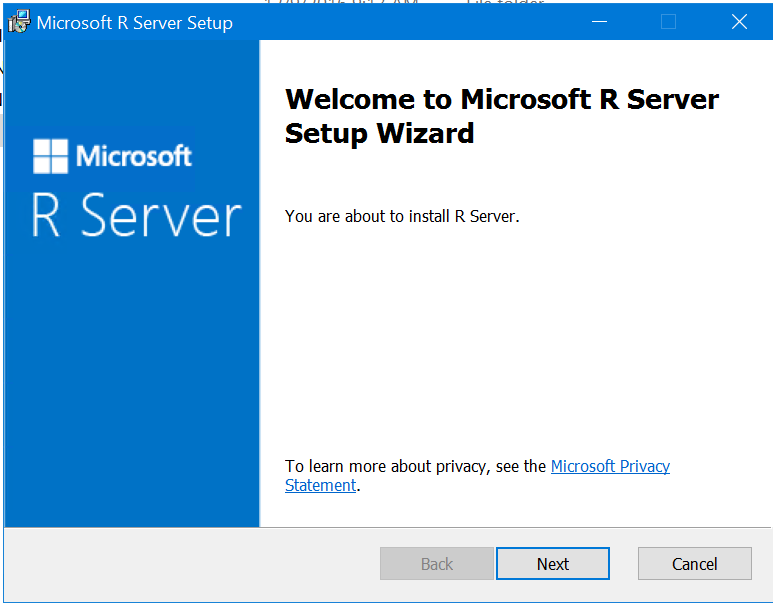 Microsoft has released Microsoft R Server 9.0 (MRS9.0) with very interesting package called MicrosoftML. 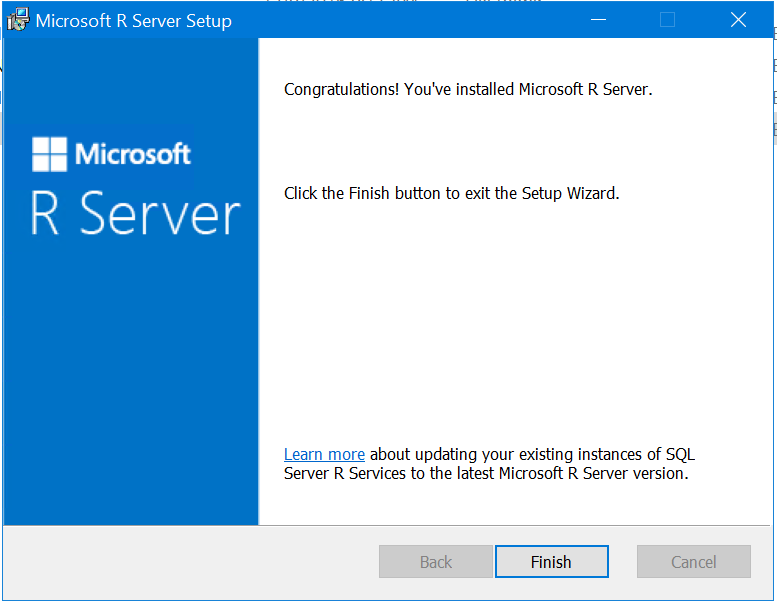 “Micrsooft ML” stands for Microsoft Machine Learning R package which you can use on R Server. 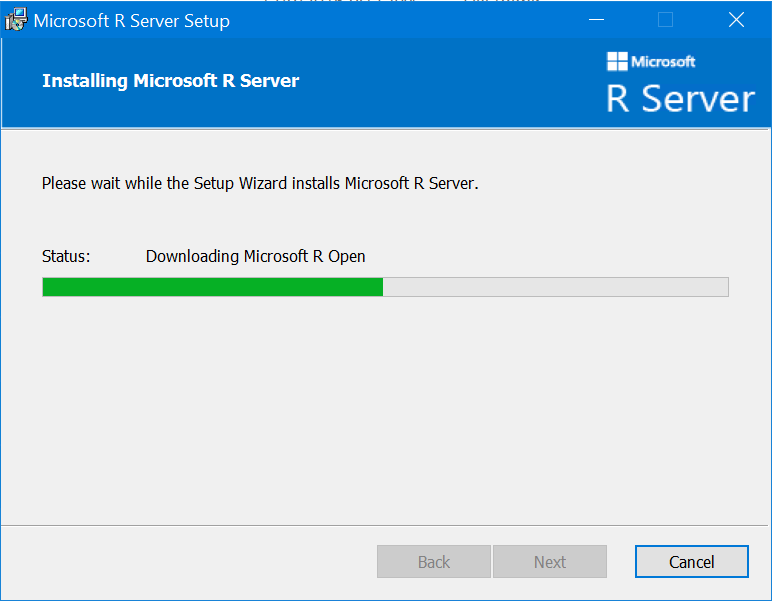 R Server is commercial version of popular R Client distribution, which solves mayor problems when working with R. R Server contains set of cutting-edge technology to work with big data, as well as set of enhanced packages for parallelization and distributing computing. 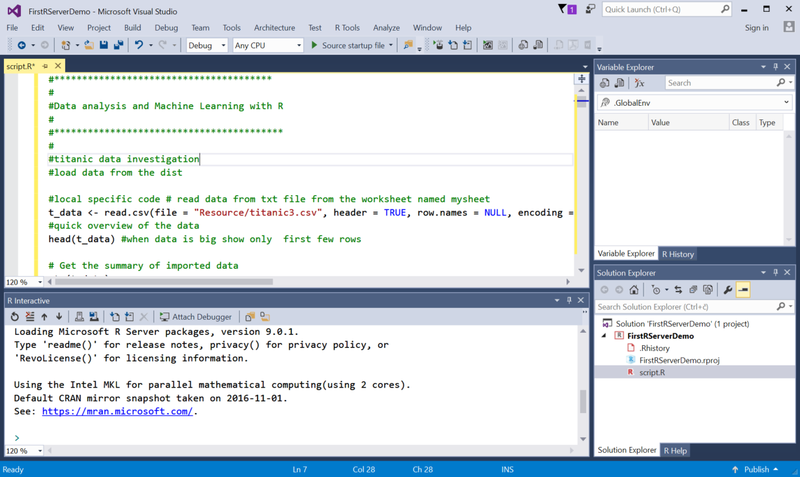 MRS 9.0 is coming with “MicrosoftML” package which contains set of several Machine Learning algorithms developed in various Microsoft products in the last 10 years. You can combine the algorithms delivered in this package with pre-existing parallel external memory algorithms such as the RevoScaleR package as well as open source innovations such as CRAN R packages to deliver the best predictive analytic. Binary classification using a One-Class Support Vector Machine. 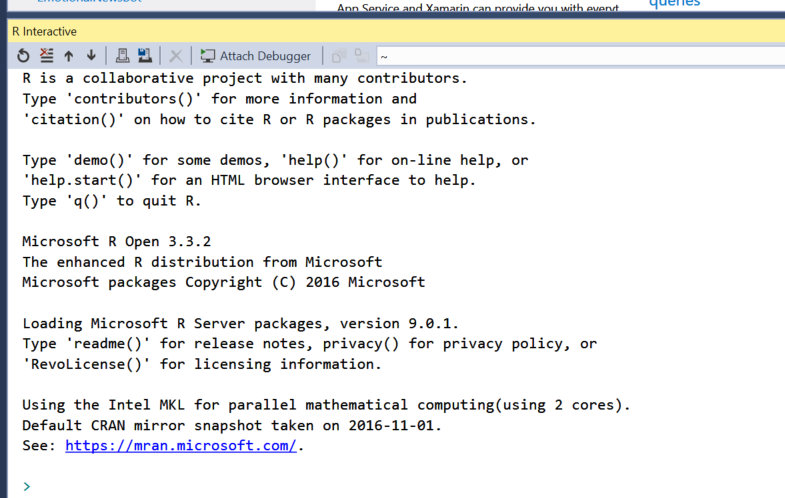 In order to fully use the power of MicrosoftML, and RevoScaleR you need to download MRS 9.0 from the MSDN or Visual Studio Dev Essentials subscription. Once the zip file is downloaded, unzip it, and run setup file. 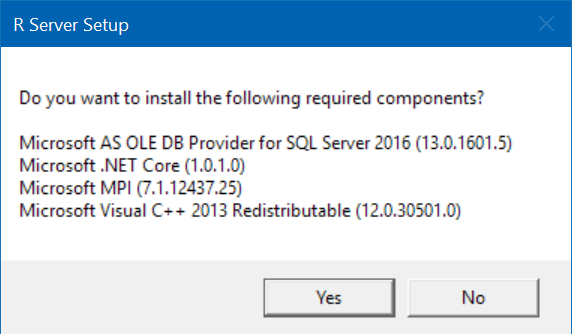 After the prerequested components installed, the MRS installation process can start. By clicking the Finish button MRS is installed on you PC. Now it is time to run some R code. YOu have two posibilities to run R code. 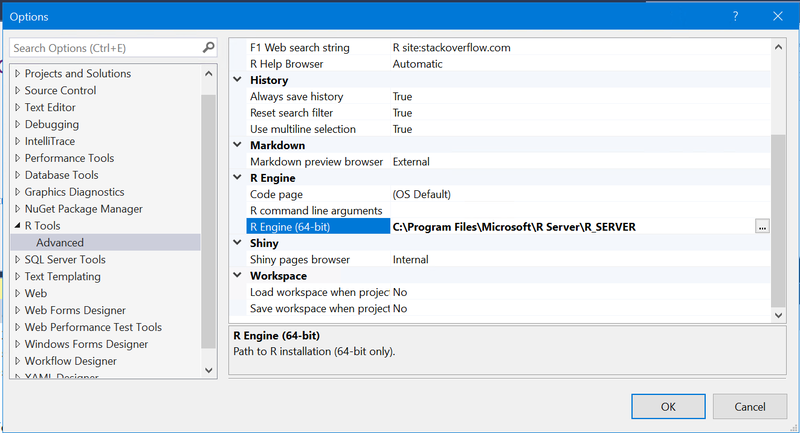 The first option is that you use the R Studio proffesion tool for running R code. It is free and open source which you can download from rstudio.com. 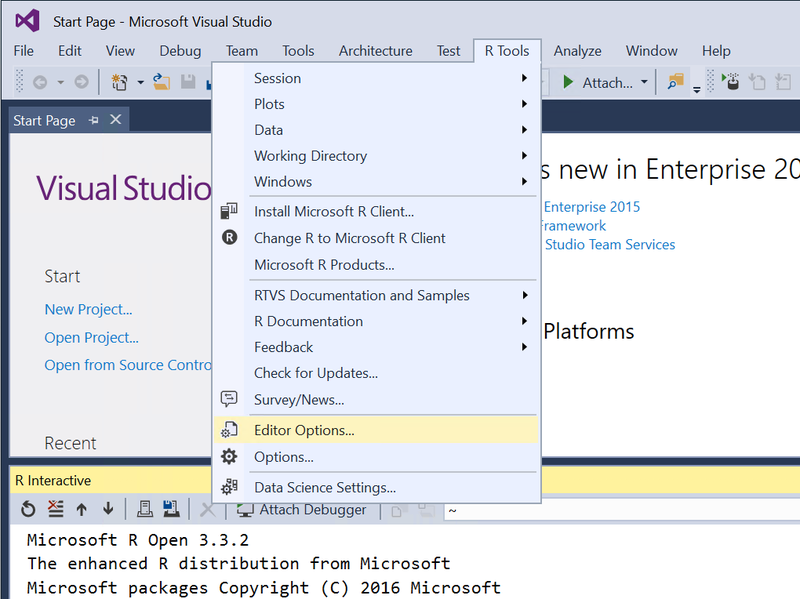 If you are MS Developer you usualy write the code in the Visual Studio. 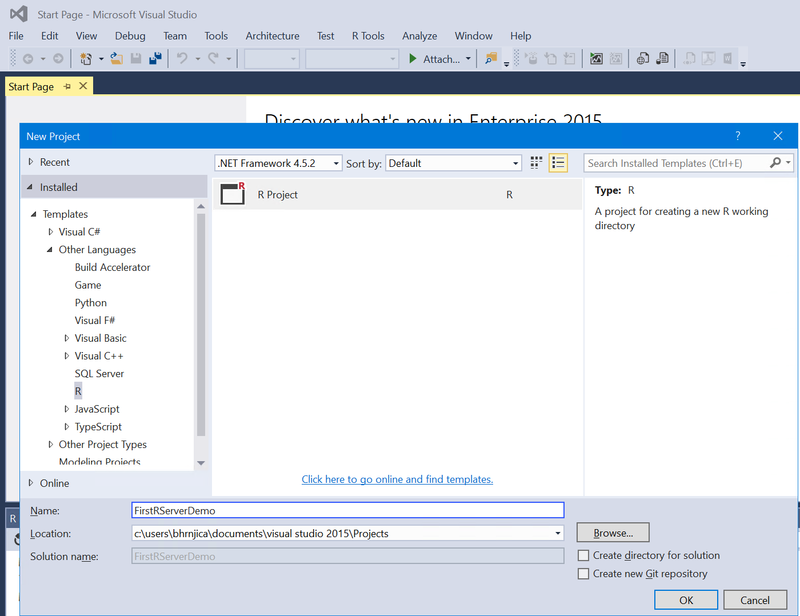 So you can download RTVS from this link and run R code from Visual Studio. Now that you have right tool to run R code, we can start with setting the MRS environment. The Option dialog appears. 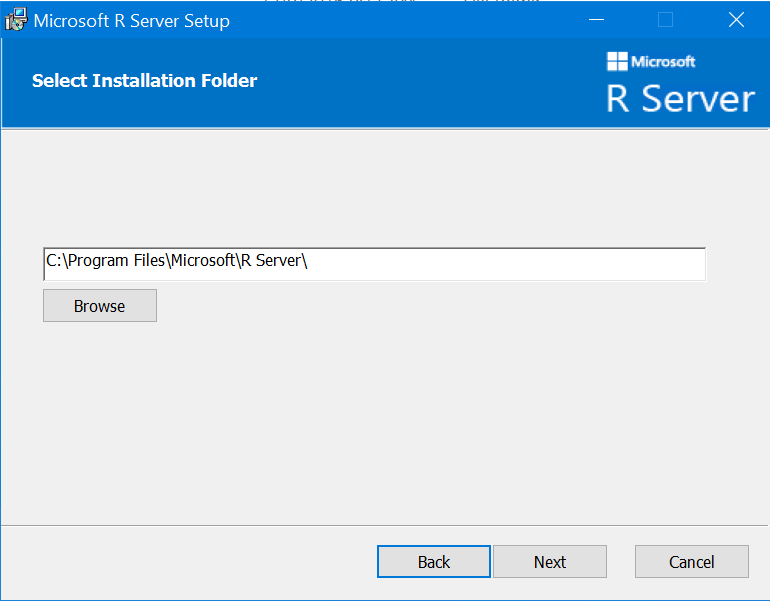 Set the R Engine to point installation folder of the MRS. Since my installation location was on Program Files folder, the picture below show my installation path. Select New Project from the File->New menu option. In the next post we will continue exploration the MicrosoftML library package and new set of Machine Learning algorithms added in this latest version.